Like humans, dogs also feel depressed at times. Lack of energy, resisting separation, and a long cry are signs that your pet dog is emotionally disturbed. As a pet parent, you have to observe how it moves and reacts to identify its emotional condition. Being dependent on you, you are bound to help your pet get out of the situation. Is your dog suffering from depression? How do you help your furry baby overcome such terrible situation? On this page, we will discuss about effective ways to fight off depression in dogs. Go ahead, and educate yourself on important facts you need to know. 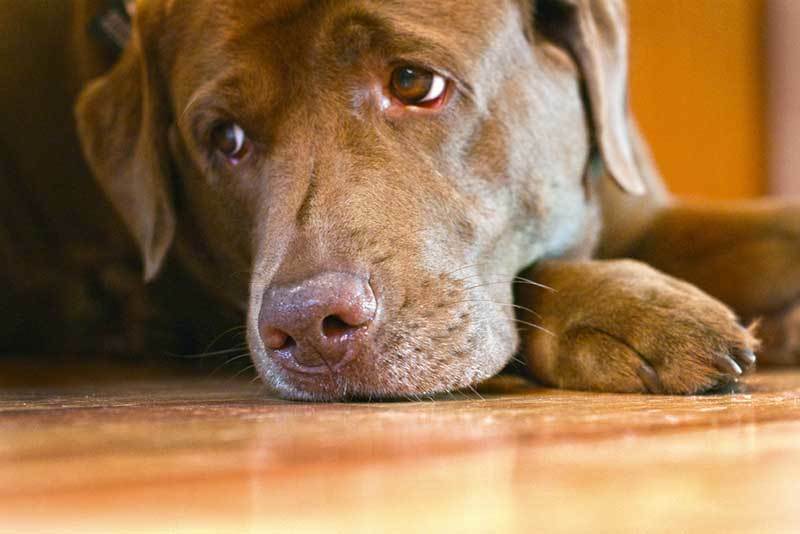 Why is Your Dog Depressed? Dog depression occurs because of various happenings. First off, it could be due to a traumatic experience; for instance, an attack by another animal or an injury. It could also be due to a sudden change like the loss of another dog or a beloved human that could also lead to separation anxiety. Even a change in weather can make your pooch feel depressed. To be able to help your pet, it is important to be mindful of the different possible causes of its depression. How do You Deal with Dog Depression? Give your pet a new toy. Anything new will catch your pet’s interest. It will help to buy your pooch a toy that it can interact with; for instance, a bone that bounces or a ball that barks. Doing so will surely fascinate your pet and gradually eliminate its depression. Getting another dog is another option so that your pet will have a friend and companion to play with. Mind-stimulating activities are an important weapon against depression. Such activities include playing; therefore, it really helps to give your dog enough amount of playtime. Take your pet on a walk. It also helps to walk your pet in the neighborhood or in the nearby park. Seeing new things, faces, and other pets – dogs in particular – can lift its mood. Let your furry friend interact with them by playing or running around. Meanwhile, you may also want to take your pet to a day care center like the Camp Run a Mutt. Doing so will allow your dog to have fun with other animals. Also, take note that walking your dog is a good way to give it some exercise. You may not know this, but exercise is among the best ways to cope with depression. It stimulates one’s physical and mental health, and enhance one’s life in general. This is true for both animals and humans. Spice up your pet’s diet. Generally speaking, dogs love to eat. For this, it will help if you do some improvement’s with your pet’s diet. In the event that your pet does not seem to be interested in eating a lot, you may want to add a dessert or give it a new tasty treat. It could be a bone-shaped cake for dogs to entice it to finish its meal. Dogs love to have companions; they like it when their parents pay enough attention to them. As for you, it is advisable to give your pet a few minutes to an hour of play time inside the house or in your yard. Running around, chasing a ball, or simply hugging your pet can cheer it up. After all, your pet is a family member. You need to spend a considerable amount of time bonding with your furry friend and looking after its needs. Continue your pet’s daily routines. It is advisable to maintain schedules of mealtime, playtime, bath time, bedtime, and other activities. For your information, your pet gets excited if it knows what to expect on a regular basis. To continuously stimulate your dog emotionally and maintain its enthusiasm, make sure to stick to your schedule. Take your pet to a vet when needed. Some signs of depression may actually be symptoms of other serious cases. And yes, depression itself can indicate some medical problems. Closely observe your dog to determine if you already need to bring it to the vet. If everything you do does not seem to give some improvement in your pet’s situation, then it might be time to consult an expert. Just like human depression, dog depression occurs due to various reasons. It also takes a while for dogs to overcome the condition. On your part, it pays to give your pet time and space to recover. Be patient and supportive of its condition by giving him your attention during its entire journey to recovery.